I really like the patterns published by Empty Bobbin Sewing Studio. I used the “Seeing Squares” pattern for the Baby Bozarth Quilt. 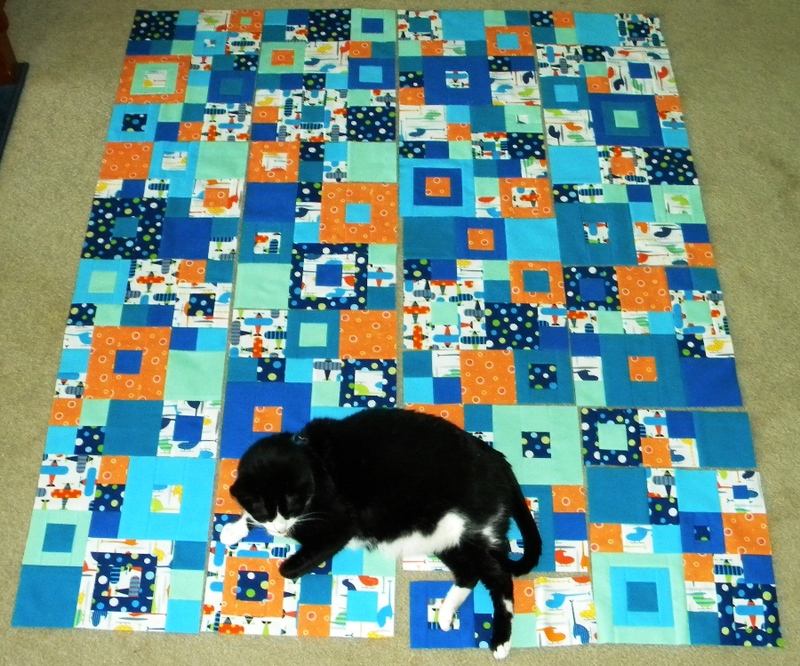 One of the best things about the Empty Bobbin patterns is that they come in multiple sizes – and the smaller version of Seeing Squares works really well as a baby quilt. I work with the father, so when the mom-to-be told me that they were thinking of a “flying things” theme for the baby room, it made a lot of sense. 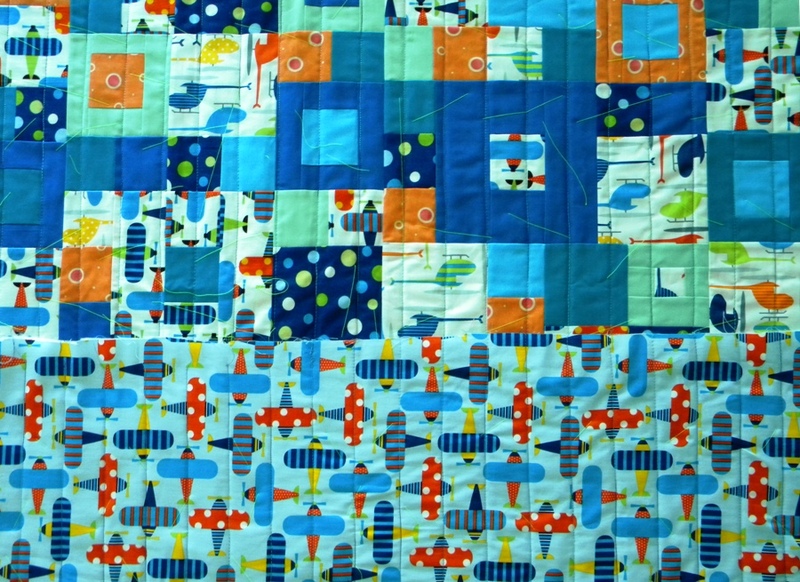 The Ready Set Go fabrics are fantastic, and I used the blue background with airplanes for the backing and the airplanes and helicopters on the white background for the front. Once I had those choices made, it was really simple to pick out coordinating fabric on fabric.com (I really love their design board and I haven’t been sad about a color choice using it, yet!). There are 8 fabrics on the front, and I really love how they all come together with the pattern. Of course, Puppy (my cat), had to get in on the fun as usual. I hope the family gets a lot of joy and use from the quilt!